This one is a little long, for that I apologise but felt I wanted to share the following. I work two days a week in a very high pressured business, on top of my editor work for British Patchwork and Quilting. They have been trying an idea to see if it helps with managing the stress our busy lives lead to these days. And what is it I hear you ask? Meditation. As volunteers we were given access to a meditation app, on our phone. The aim being to use it once a day (I admit to not managing this) but how does that equate to sewing? We often hear the words ‘sewing is my therapy’, something we at BP&Q have even printed on our lovely craft bags (available at the Festival of Quilts on our stand!) but what does that mean? 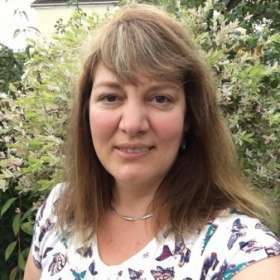 Well, for me, I am deeply emerged in the world of P&Q, designing projects for the magazine, teaching and generally doing lots of sewing for other people and causes but I treasure the time I’m able to spend on my own projects. The simple mindfulness of sewing, clearing the mind, not thinking of anything in particular. Letting thoughts just drift through whilst the hands continue with stitching are all recognisable elements from meditation. There are many, some say twelve, principal benefits to meditation but I’m suggesting that sewing is right up there in comparison. Let’s look at those twelve benefits. Reducing stress is one of the prime reasons that people try meditation. Picking up a needle and ‘just stitching’ is one of my go to stress reducers. 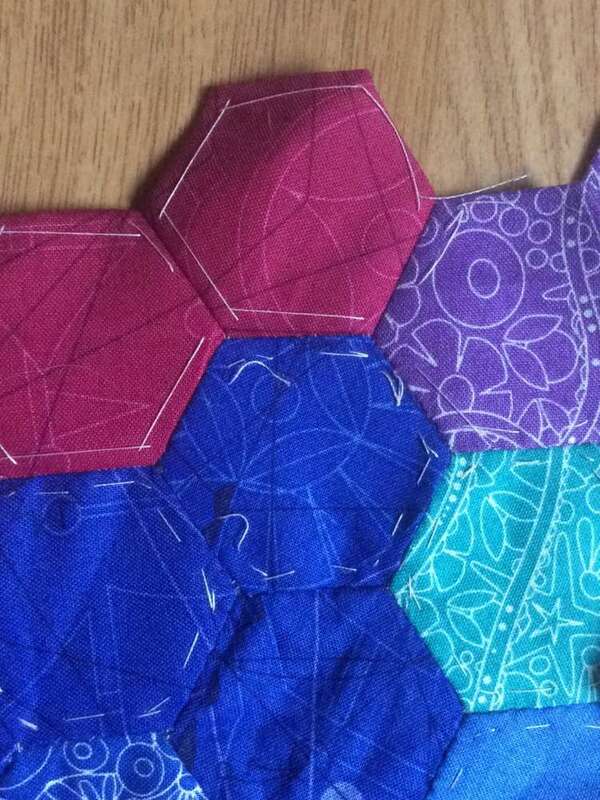 I tend to choose simple piecing, embroidery or English Paper Piecing (EPP) when wanting stress free sewing rather than trying to work out a tricky pattern. Embroidery or hand quilting are also excellent examples. I personally think that this is where hand stitching beats machine as it is a conducted at a slower rate, allowing the body to relax and slow, mirroring the pace of work. Controls anxiety. Reduce stress and you reduce anxiety. Meditation is proven to help. I find the slow repetitive action of sewing certainly reduces my stress levels. I suspect I slow and perhaps deepen my breathing which, anyone with experience of yoga will tell you is great for you as it reduces blood pressure. Promotes emotional health. Try taking a little time out today. Make a tea and sit outside and listen to the birds, walk around your garden and look at the plants. Just those few minutes will improve your emotional well-being so now think about that doing something creative. That simple action of making gives me a satisfying feeling and, simply put, makes me happy. The next on the list is enhancing self awareness. In our modern world where everything is simply just ‘full on’, from entertainment to work, being more self aware is something we can all benefit from. One of the meditation techniques from the app I’m trialling gets you to ‘check in’ with your body. Take your awareness down through your body, recognising where you are holding tension but just to note it. I find that by noticing I’ve tension somewhere I actually relax the area. This can also be taken on the metaphysical level but is perhaps a little too far for me at the moment! Being self aware when sewing? how does it make you feel? Do you think about the end result or the action or even about the person your sewing for? These all help bring your attention inward. Another positive influence is that meditation can lengthen attention span and may reduce age related memory loss. I’ve grouped these two together as I feel that they are both relative. Sewing has also been proven to assist in this area. How often do we sit and spend a decent amount of time on a particular task? Not often. But to sit and concentrate on a stitch, keeping them even perhaps, is mindfulness in full swing! The last two elements from the general positivities for meditation are it can generate kindness and may help fight addictions. The first I think we have covered. How many of you sew for a charity? Have a desire to share your knowledge or just pass on some fabric that someone needs to finish a project – and how good does that feel? When it comes to addictions, I can’t really comment (other than being addicted to the odd chocolate or four!) but again, if I’m busy sewing I don’t think about Dairy Milk so hey, it might help there too! 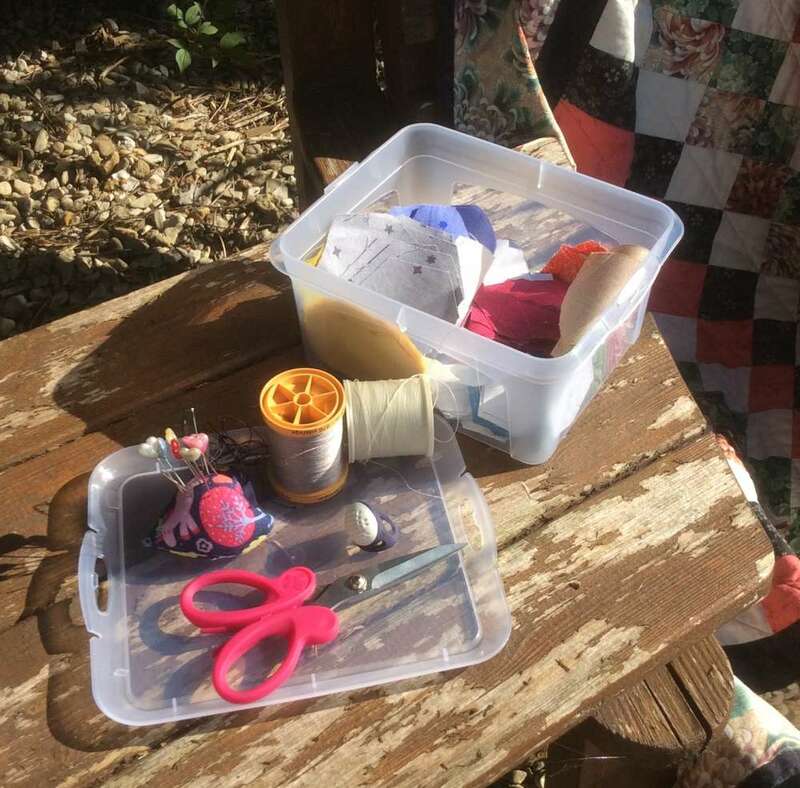 The general health practitioners are beginning to awaken to what creatives have been saying for quite some time – sewing is good for you, body and soul. So go on, pick up a needle, don’t think, just sew!